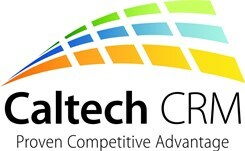 United Kingdom based Caltech CRM provides CRM technology and process consulting services to UK based organizations. Caltech is a leading UK provider of Microsoft Dynamics CRM. Caltech specializes in implementing, developing, integrating, training and getting the most from Microsoft Dynamics CRM. Caltech CRM helps their clients to grow, achieve higher rates of client satisfaction and makes their processes more efficient, by designing and building a CRM solution that is aligned to their individual needs. Caltech works across the United Kingdom, and has extensive experience in several vertical industries, with a particular focus on B2B, Travel and Tourism and Housing Associations. See our website for more information and free resources.